At the going down of the sun, and in the morning, we will remember them. A place where you can learn about and relate to your family's military connections. Admission Prices: Adults $15, Children $5, Students (ID) $10, Family $30, Senior Citizen $10. Guided tours and concession rates available. Facilities include: cafe, shop, education service, conference facilities, guided tours and the Kippenberger Military Archive and Research Library. 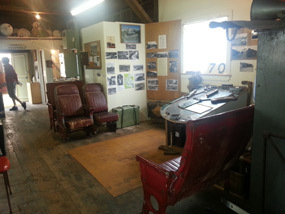 Located at the end of Thames St just along from the railway station is the railway museum. 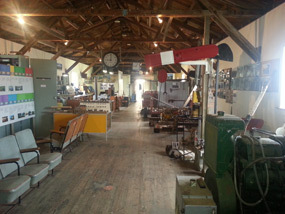 It contains a collection of historic items on display, including a special display from the Tangiwai disaster of 1953 (including seats from the 1st Class carriage).